The mobile computer Dolphin CK65 by Honeywell is the successor of the powerful CK3R/CK3X series. It excels with ruggedness and future-proof features, such as Android 8 and the Mobility Edge platform. These mobile devices can be used either as handheld or with a pistol grip for easy picking. The Honeywell Dolphin CK65 mobile computer is based on the Mobility Edge platform and is easy to integrate and to maintain. It is also a future-proof investment, due to the Android 8 operating system, which leads to a longer lifecycle and a lower TCO. The accessory range of the predecessors CK3R/CK3X is compatible. The handheld computer comes with a 4” display, which is also good readable outdoors. 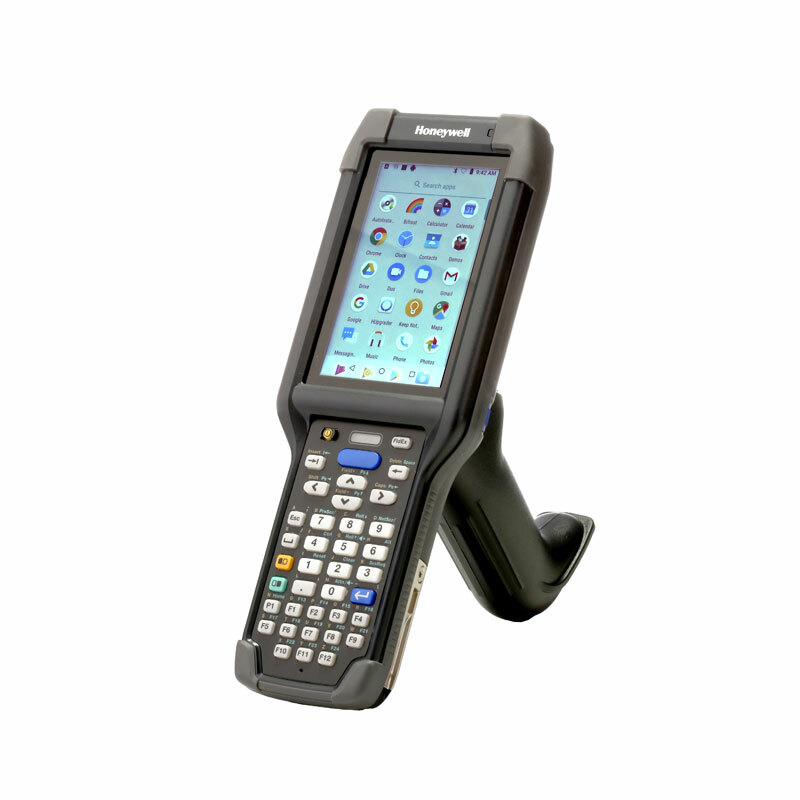 For an easy use in warehouse environments you can switch between handheld or pistol grip operation – ideal for mobile workers. As touchscreen options, you can choose between a 38-key numeric keypad with function keys or a 51-key alphanumeric keypad. Due to its rugged design, this mobile computer can withstand multiple drops from up to 2.4 m to concrete. 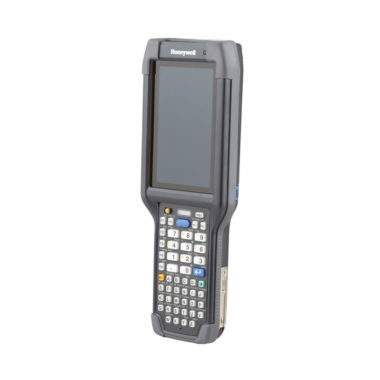 The Dolphin CK65 by Honeywell is also sealed against the ingress of dust and water according to protection class IP64. It can be used within an operating temperature range from -20 °C to 50 °C. The scan engines provide a wide reading range from 0.15 m to 15.2 m with an outstanding 1D/2D reading performance. For documentation reasons there is a 13-megapixel camera integrated. The strong Li-Ion batteries provides up to 18 hours runtime. 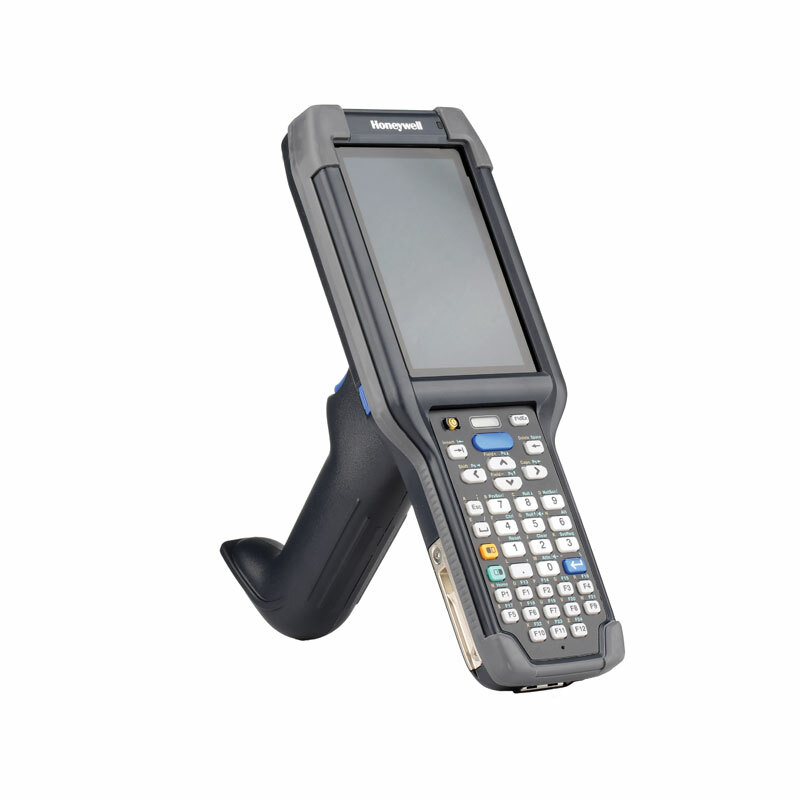 For a strong and reliable communication, WLAN, Bluetooth, NFC and PTT are integrated.